Alabama Architects, It’s Time to Renew! 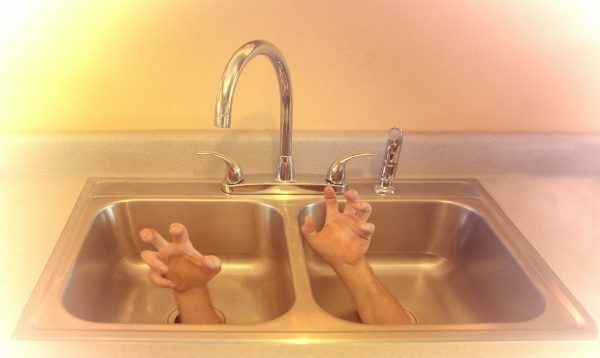 Here’s a collection of plumbing horror stories we’ve gleaned from various internet sources. Hope you enjoy them as much as we did! A master plumber was working in the Bronx, NY, in a dark, flooded basement where the sewer had backed up. He had no idea how deep the water was, so he took a seven-foot broom handle to help guide him and make sure he didn’t fall into any submerged holes. He also carried along his trusty flashlight to light the way. As he peered into the darkness with his flashlight, he saw hundreds of beady little eyes glowing back at him—sewer rats, averaging about a foot to 18 inches in length! His throat got dry and was scared like never before. He shined his trusty flashlight into their eyes. The bright light must have scared them because the rodents took off into the water and went back down into the sewer. There were so many of them that the cleared the blockage and the water went back down the drain with them. All thanks to his trusty flashlight! "We were replacing a toilet at a customer's home," says the office manager of a local plumbing company. "We removed the old toilet and set it next to the newly installed one. One of our new contractors arrived on the job after us and had to use the bathroom. I can't say this tastefully — he did his 'daily constitution' in the old toilet, so there was no way to flush it! I'm not sure who had to clean up the mess." This entry was posted in Plumbing and tagged Plumbing Horrors.